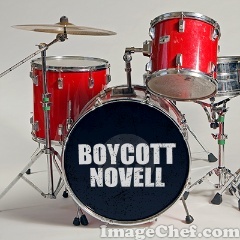 YESTERDAY we wrote about Novell's and Microsoft's latest Moonlight spin. They really want people to advance Silverlight at the expense of Flash and at the expense of web standards. Microsoft is desperate for more control of the World Wide Web and Novell helps Microsoft in that regard. Novell’s (and Microsoft's) de Icaza is now pointing to Microsoft’s Web site, which altered some terms that relate to Microsoft Moonlight. It is worth remembering that Microsoft ports Silverlight to Intel's Moblin, which makes Moonlight rather worthless and insulting. There is an inaccurate report from Justin Ryan (Linux Journal) over at OStatic. He calls Moonlight “Silverlight”, which it is not. “Microsoft Brings Silverlight 2 to Linux,” says the headline. It’s deceiving. Moonlight isn’t written by microsoft; in fact microsoft’s main involvement is to offer not to sue anyone using the technology. Moonlight is and always will be several steps behind silverlight; its principal use is as a microsoft marketing tool rather than have any useful application. Flash, although it has pretty annoyingly slow performance under linux, at least works. Same experience. Had a video site using it, Moonlight video player was failing hard. Even Windows users were having a ton of trouble. In the end, they went back to Flash, who’s Adobe does more for Linux than “promise not to sue you for propagating *our* technology”. Patent/legal protection is assured to ONLY moonlight provided by Novell to it’s clients and users. Oh no, more work on sight! As to date I have removed Silverlight from over 200 computers tha got infected somehow. will I also have to start removing silverlight from Linux boxes? Microsoft has also “infected” Firefox without permission, later doing the same thing again [1, 2] until Mozilla sort of banned Microsoft. Microsoft still behaves like an outlaw company, but Novell does not seem to mind because it is funded by Microsoft. Another crooked company is the BBC, whose affairs with Microsoft we wrote about many times before (see references at the bottom). Cory Doctorow has just written about the BBC’s latest exclusion of Free software users. As Ofcom gears up to a second consultation the issue, there’s one important question that the BBC must answer if the implications of this move are to be fully explored, namely: How can free/open source software co-exist with a plan to put DRM on broadcasts? A brief backgrounder on how this system is meant to work: the BBC will encrypt a small, critical piece of the signal. To get a key to decrypt the scrambled data, you will need to sign onto an agreement governed by a consortium called the Digital Transmission Licensing Administrator (some of the agreement is public, but other parts are themselves under seal of confidentiality, which means that the public literally isn’t allowed to know all the terms under which BBC signals will be licensed). DTLA licenses a wide variety of devices to move, display, record, and make limited copies of video. Which programmes can be recorded, how many copies, how long recordings can last and other restrictions are set within the system. To receive a licence, manufacturers must promise to honour these restrictions. Manufacturers also must promise to design their devices so that they will not pass video onto unapproved or unlicenced devices – only DTLA-approved boxes can touch or manipulate or play the video. This is where the conflict with free/open source software arises. Free/open source software, such as the GNU/Linux operating system that runs many set-top boxes, is created cooperatively among many programmers (thousands, in some cases). Unlike proprietary software, such as the Windows operating system or the iPhone’s operating system, free software authors publish their code and allow any other programmer to examine it, make improvements to it, and publish those improvements. This has proven to be a powerful means of quickly building profitable new businesses and devices, from the TomTomGo GPSes to Google’s Android phones to the Humax Freeview box you can buy tonight at Argos for around £130.